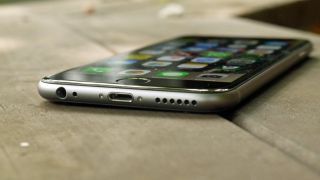 One of our longest-standing annoyances about the iPhone might soon be solved, as Apple is apparently looking to increase the storage capacity of its upcoming models. However rather than boosting the top end above 128GB it's seemingly looking to make changes to the mid-tier models. At least that's the implication of a report in the Korea Times. It doesn't get into any more detail than that, but given the extremely restrictive nature of 16GB models we hope it could mean an end to them, with 32GB becoming the smallest size. Apple has apparently been pleased with the sales of its 64GB phones, which suggests consumers are looking for higher capacities than 16GB. Given that Apple doesn't sell a 32GB iPhone 6 it would make sense for that size to replace 16GB in the iPhone 6S. The report also claims that Samsung is in negotiations with Apple to supply flash memory chips for the next iPhone, though apparently no agreement has yet been made. This information all comes from "a source close to the deal" and as always we'd take it with a healthy helping of salt. Even if it is true it sounds like it's all just things Apple is considering and there's no definitive information on what Apple's storage plans are - so the 16GB iPhone may not have breathed its last just yet, but we live in hope. The iPhone 6S could also be bigger than its predecessor.